Elon Musk’s Hyperloop is a transportation innovation that, if anything, is even more fantastic and revolutionary than its straight-out-of-science-fiction name would suggest. The Tesla founder’s commute revolutionizer has been described as “a cross between a Concorde, a rail-gun and an air hockey table”. 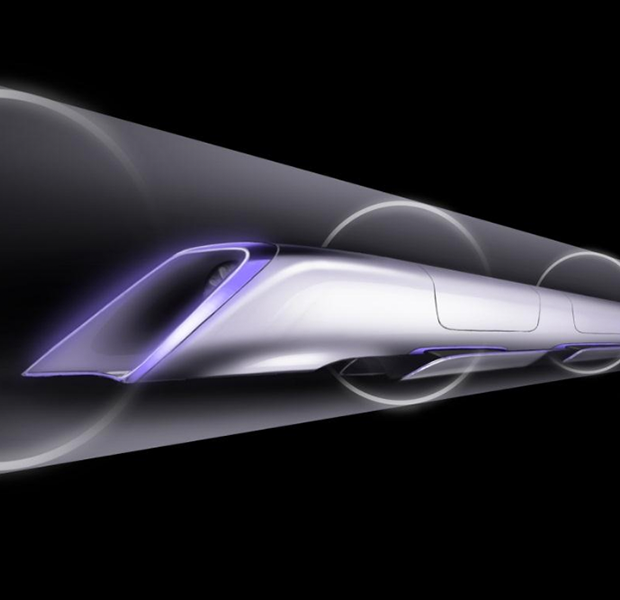 It’s essentially a pneumatic tube that shoots commuters between cities at just a hair beneath the speed of sound (a necessary limitation to avoid creating a sonic boom while traveling) in pods that are pushed along in closed, above-ground tunnels powered by compressed air. Hyperloop Transportation Technologies, funded by JumpStartFund (a large-scale crowdsourcing project), has partnered with Oerlikon Leybold Vacuum and Aecom (whose other achievements include the Brooklyn Barclay’s Center and the London Crossrail Tunnel) and plans to begin construction on a Hyperloop test-run. The organization is made up of a group of about one hundred engineers moonlighting from their jobs at places like NASA, Yahoo! and, of course, SpaceX, gambling their time and effort for stock shares in the future of transportation technology. a total of 840 people an hour. every 30 seconds during rush hour. (the average distance between capsules). times as much as California’s high-speed rail system. team members are working on the project. the amount of start-up capital invested in Hyperloop Transportation Technologies. designs to a Space X contest.